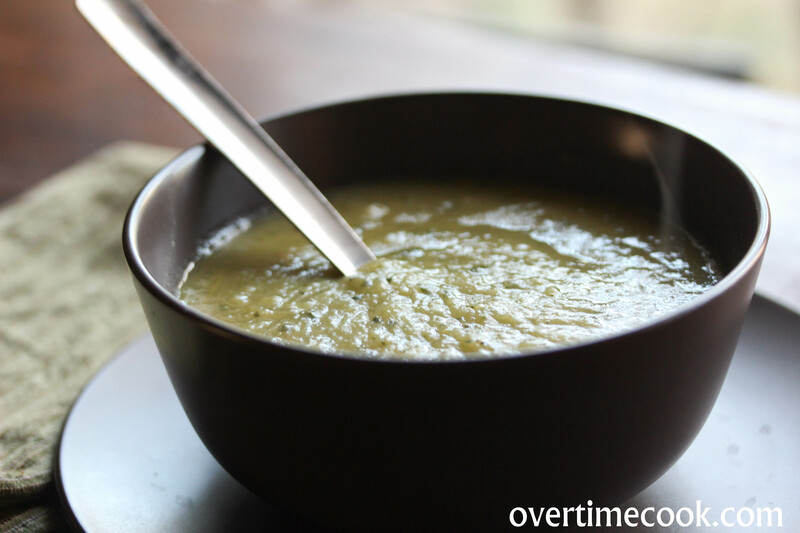 I think that every time I post a soup recipe, I precede it with a long introduction about my love of soups. Are you tired of the introduction yet? Because if not, I can totally talk about it again. Or I can steer you to the other soup recipes on this blog. And in place of an introduction, I can go on a little rant about the New iPod. Don’t get me wrong. I’m typing this on my iPhone, and really love all things apple. But! Here’s what I don’t get- why the lines outside electronics retailers on Release Day? Let’s say you have the 500+ bucks to drop on a new iPad, and have been waiting excitedly for the new release. Would it kill you to wait until the next day, or even a week? Or sell your dignity for an extra day with the new toy. Your choice. 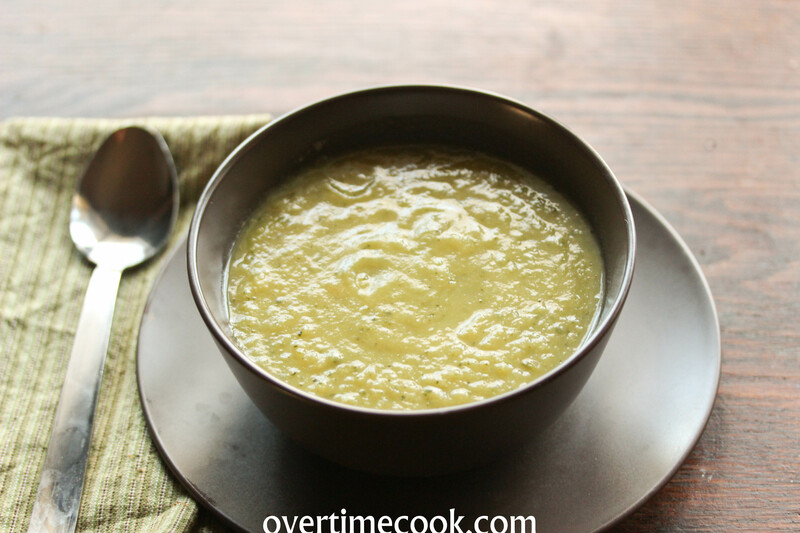 Speaking of waiting, don’t wait to make this fabulous soup. It’s healthy, it’s filling, and it’s totally delicious. Heat olive oil in a large pot. Dice onions and add to hot oil. Sauté over medium-low flame. Meanwhile, mince garlic cloves and add to pot. Sauté until onions are translucent. Cut zucchini into half rings (no need to cut too small, they will be puréed later on.) Add the zucchini and the defrosted broccoli to the pot. Keep flame on low and sauté vegetables until they are starting to soften. Add beans, if desired. Remove pot from heat and purée with an immersion blender until smooth. Add salt and pepper to taste. Smart idea to add the beans, that would give it nice body and help to meld the flavors–good one! I’ve never had zucchini in a soup. Paired with the broccoli I imagine it is very tasty. 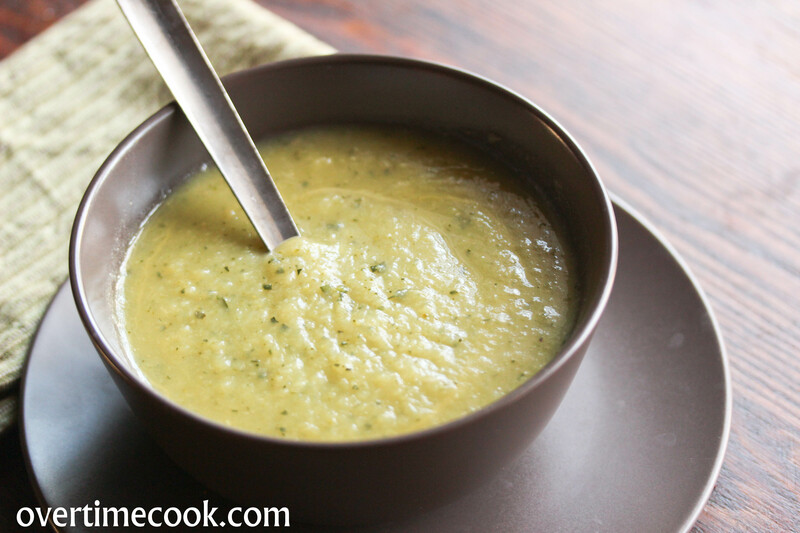 Have you every made this with fresh broccoli? 1-How much does this recipe yield? Esther, this yields quite a bit (enough to feed a pretty large family) but it freezes beautifully, so I wind up freezing extra for later. I love this soup but it turns very watery when I defrost it. How do I keep it thick and creamy? I would just simmer until it thickens. I made this yesterday but i substituted the chicken broth for vegetable broth. I also added brown rice and it turned out really delicious. Thanks so much for this wonderful recipe! Made this tonight, so simple and delicious. Added some garlic powder and thyme while the veggies were cooking. Planning on serving it tomorrow with rotisserie chicken added in. I can’t wait! Thanks for the recipe. Do u peel the zucchini? Can I use fresh broccoli? So my husband does not like broccoli however, i was hoping i could sneak this in since it’s all pureed. Do you taste the broccoli or does it all become blended? I am making this right now with fresh broccoli and plan to add the beans after the rest of the soup is blended…maybe some chopped red pepper as well. Hmmm…brought home some basil and dill…which one to try? Thanks! a HIT!!! great with onion and garlic croutons to add some texture & taste! Delicious! I made huge pot before the holidays, and this was the most requested soup this Yom Tov season. It was perfect for the chilly, rainy Sukkos evenings.